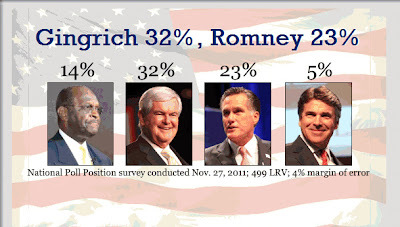 A new national poll of GOP voters released yesterday has Gingrich leading Romney by 9 points (32% to 23%). Cain is third at 14%. All others are in single digits.